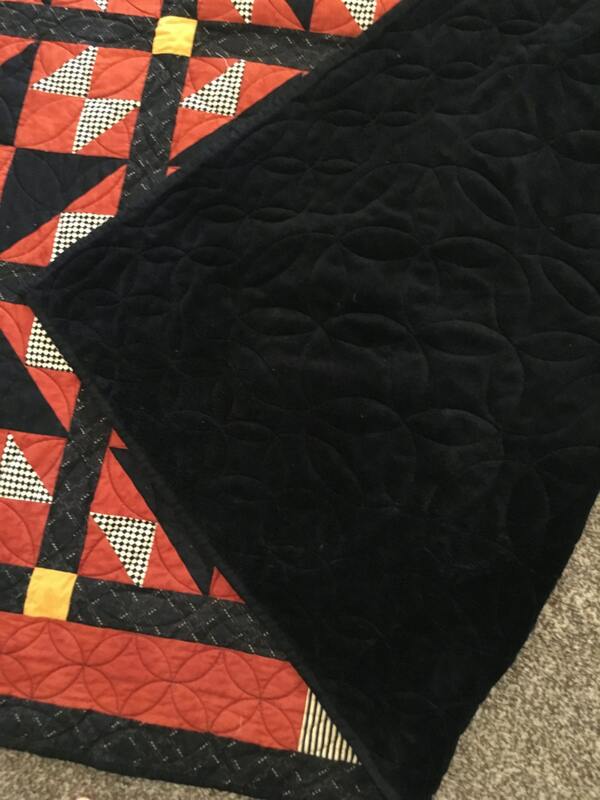 This beautiful warm quilt measures 65" x 68", backed by a black colored minky plush fabric; perfect for curling up in on a cold night. It's top-stitched by hand, creating a custom design. It's made of 100% cotton in rust, black, gold with a black print border . The batting is a cotton/poly blend (80/20). 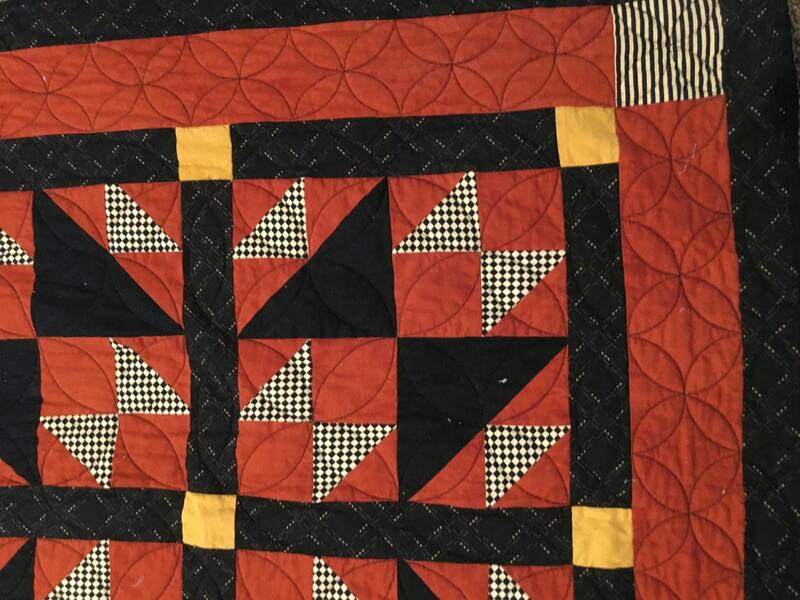 This is a one-of-a-kind quilt, made in a smoke-free, pet-free environment. 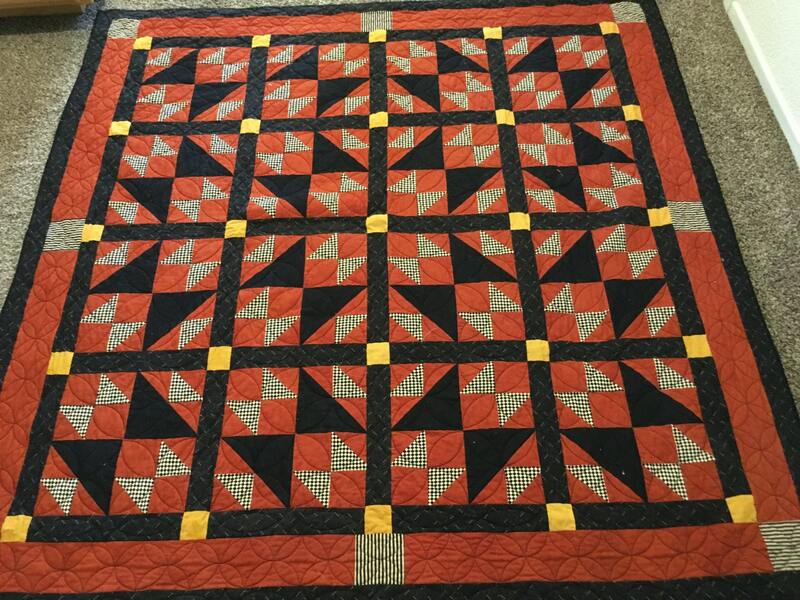 This quilt can be put in the washer and dryer.